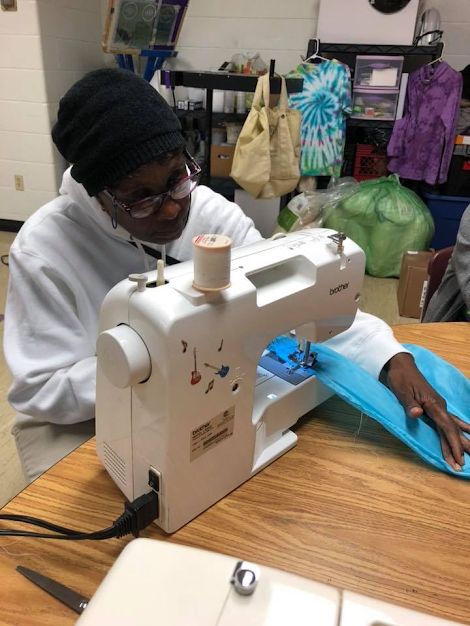 Our sewing program at Pearl Street Is growing! We picked up one more used sewing machine so we can make ALL THE THINGS! I can’t wait to see what the Purple Catters want to make for the holidays! Thank you to everyone that has purchased pillows in the past week! We are so happy and proud!! It’s wonderful what we make from repurposed fabric and donations.